We are currently speaking with the suppliers of Polo/Golf Shirts for the McGrath Clan Gathering Weekend. 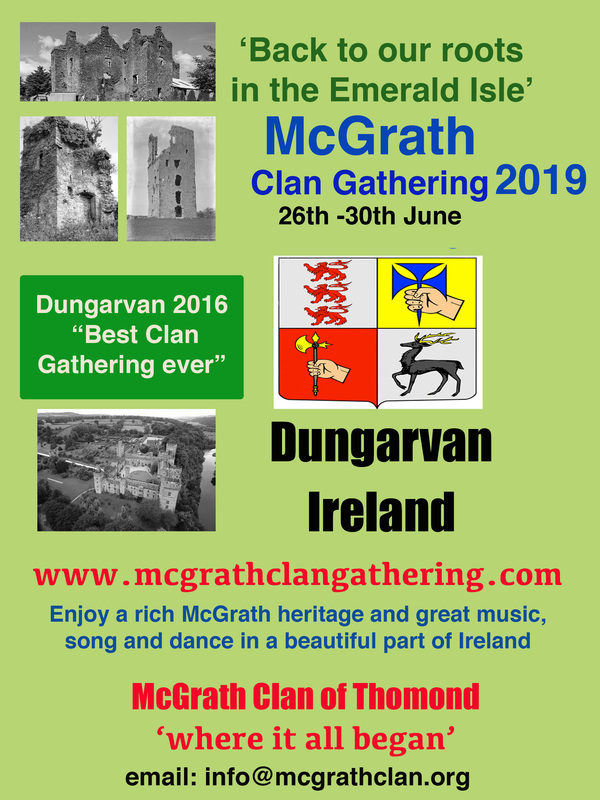 In this respect, we have 3 options, (a) A McGrath Clan polo/golf shirt, (b) a McGrath Clan, Dungarvan 2013 polo/golf shirt or (c) an McGrath Clan, Ireland V Rest of The World Dungarvan 2013 polo/golf shirt. As soon as we have a price for a good quality shirt we’ll let people know and they can order prior to the weekend, so that we have stocks of the correct sizes. This entry was posted in Uncategorized on December 1, 2012 by McGrath Clan (official).